I am hovering over getting some....but I do have a few problems with getting the cut card out of the dies on my Marianne flowers/leaves die. I'd not used mine yet so just had a play & some are easy to eject & others you need a craft knife. He he he... Sue, did you use the "I can't decide, I'll have them all method of purchasing?" DingleDel wrote: He he he... Sue, did you use the "I can't decide, I'll have them all method of purchasing?" I am not listening. I DO NOT NEED any more snowflakes of ANY description. Oh Kath! 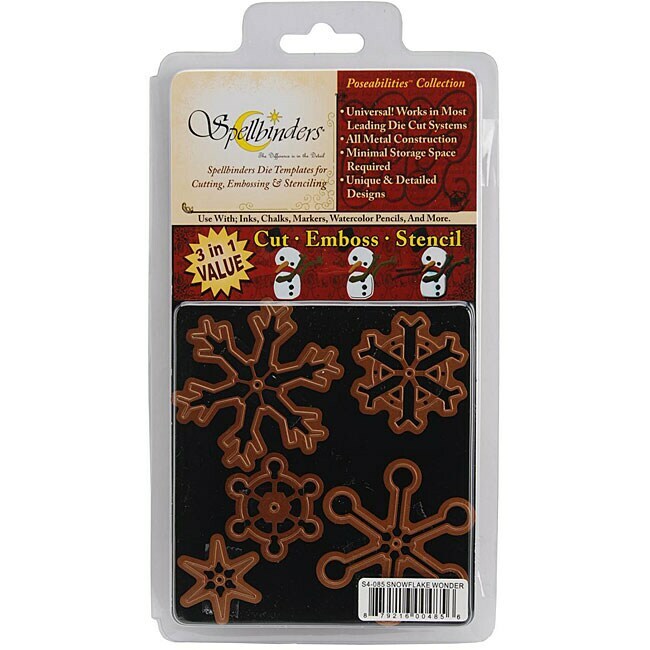 Snowflakes are like flowers, or ribbon or paper...a girl can NEVER have enough! I am confused now...I have seen these!!! Oooh.... I have those ones ....still need a pokey tool on some of them but really not a lot of bother. Oh, the more I look the more I am confused. Some of the snowflakes seem too big for what I really want. Liz, am I right in saying the largest of those Spellbinders are 6cm? He he he....thank you for the link Carole....I may try that as Mr. Postie arrived today and I have already used 2 of my purchases. The photo below shows them on my cutting board which has 1" divisions. Not a good photo but hope it helps. Yes thank you. Some of them are a bit larger than I'd like...but I think it will stay on my wish list!